Akshay Kumar will not only look different but will also sound different as he locks horns with Rajinikanth in ‘2.0’. Rajinikanth’s eagerly-awaited ‘2.0’ has created quite a buzz amongst fans thanks to its gripping posters and impressive scale. Moreover, it has grabbed eyeballs as it is a sequel to the blockbuster ‘Enthiran’ which hit screens in 2010 and redefined the tenets of Tamil cinema. Now, it seems that the buzz surrounding this S Shankar directorial is set to receive a shot in the arm. 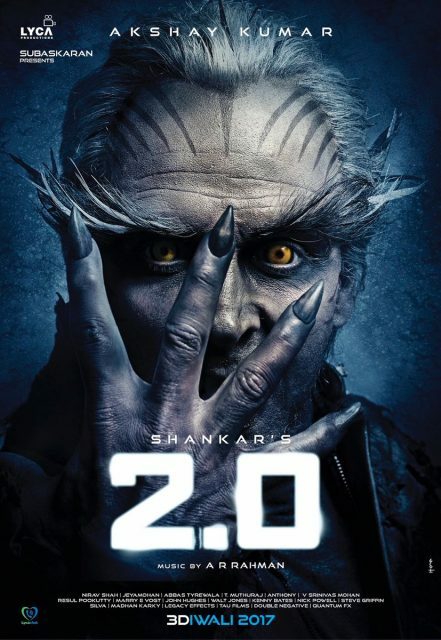 According to a leading daily, Bollywood megastar Akshay Kumar—who plays the antagonist in ‘2.0’—will sound pretty different in the Hindi-dubbed version of the film. As It so happens, the makers will be using technological sound enhancement in order to ensure that altered the pitch of the Khiladi’s voice. Confirming the same, Academy award winner Resul Pookutty said that they will be able to fine tune that technology In a short while. “We are working on it. After struggling for weeks, Shankar and I have discovered a method. We are not fully satisfied with the voice quality yet. In a while, we will get the perfect voice and pitch for Akshay,” added Resul. Well, this a bold move and could ensure that ‘2.0’ turns out to be a unique experience for fans. On a related note, this is a busy time for Rajini. Besides ‘2.0’, he also has ‘Kaala’ in his kitty. It is a crime-thriller and features him in the role of a gangster. These days, ‘Thalaivaa’ has also been in the news because of his impended entry into politics.